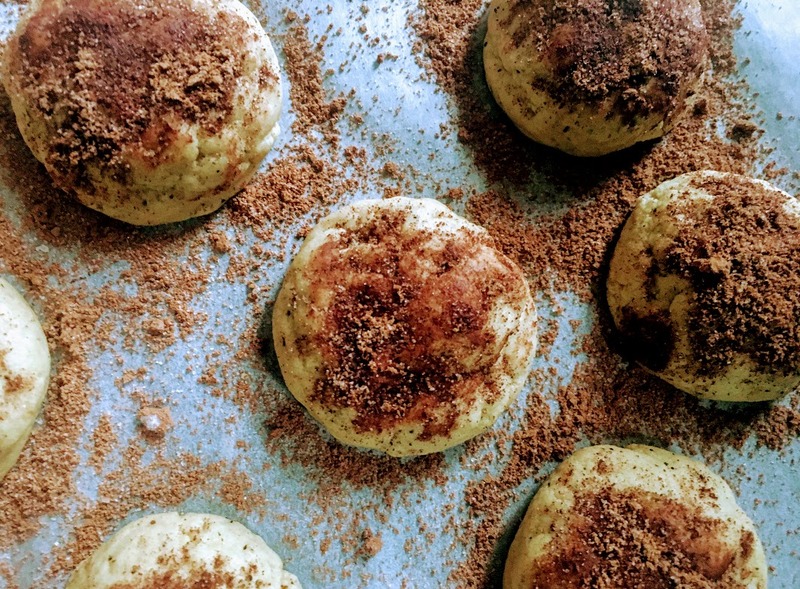 Flavored with coffee powder, mascarpone cheese, and a dusting of cocoa powder, these bite-sized cookies taste just like tiramisu, a classic Italian dessert made with layers of mascarpone filling and espresso-soaked biscuits. The idea for this recipe came to me when I wanted to send a friend some tiramisu, her favorite dessert, but figured cookies would be easier to ship. These have the same strong coffee flavor as traditional tiramisu, which means “pick me up” in Italian, but are easier to make and can be stored for days at room temperature. Preheat oven to 325 ºF and line two baking trays with parchment paper. In a large mixing bowl, cream together butter, sugars, and coffee powder until light and fluffy, around two minutes. Stir in mascarpone cheese, egg, and vanilla until smooth. Mix in baking powder and salt. Stir in flour until just combined. Roll tablespoons full of dough into balls and place around an inch apart on prepared baking trays. Bake for 12-16 minutes, until cookies are set in the middle. Set aside to cool for a few minutes. In a small bowl, mix together cocoa powder and sugar. Dust the tops of the cookies with cocoa powder mixture. Store at room temperature in an airtight container.